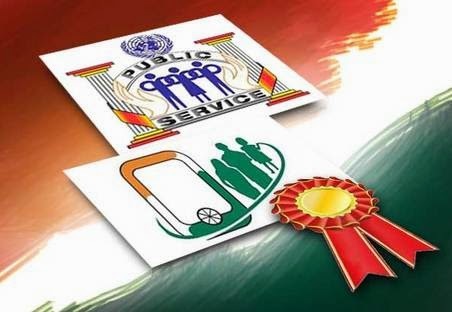 Tribal Cooperative Marketing Development Federation of India Limited (TRIFED) functioning under Ministry of Tribal Affairs, has bagged the "National Award for Excellence in Training for the Year 2015" in a contest organized by the Department of Personnel and Training, Government of India. This was disclosed by the Managing Director TRIFED, Mr KBS Sidhu here today under whose stewardship TRIFED exhibited a five-fold increase in the number of trainees. TRIFED's entry captioned "Improving Efficiency and Effectiveness of Skill Development and Capacity Building of Minor Forest Produce Gatherers Training Programmes" was adjudged second, behind the high-tech ISRO, among the 50 contenders from all over the country by an independent jury, which included a nominee of the UNDP. TRIFED, a multi-State Cooperative Entity has been working for the Socio-Economic Development of Tribal People in the Country by way of procurement of and Marketing of the Tribal Products, which include the Minor Forest Produce, Tribal Handicrafts, Organic and Natural Products etc, with a view to ensure better remunerative price for their products to enhance their standard of living and protect them from exploitation by middlemen and unscrupulous traders. Minor Forest produce (MFP) is a major source of livelihood for forest dwellers as they spend most of their time in its collection and derive upto 40% of their income from its collection. Moreover it offers to create 10 Million workdays with strong linkage to women beneficiaries. But MFP trade is highly unorganized and tribals use traditional methods for collection, harvesting, storage and marketing. TRIFED as part of its mandate provides skill development and capacity building training to tribals so that they can improve their income by improving the quality and quantity of the produce collected without destroying the trees. TRIFED has also been focusing attention towards the Procurement of Tribal Art, Crafts, Artifacts and Marketing through “TRIBES INDIA” the Chain of Retail Marketing Outlets across the country. In order to ensure uninterrupted inflow of the quality products to meet the requirement of its growing customers, TRIFED has been successful in empowering the Tribal Artisans to attain Excellency in making their products more and more attractive. The Spanish Government today submitted a Draft Memorandum of Understanding for cooperation in developing smart and sustainable cities in India. The Draft MoU relating to urban development was presented during the meeting of a high level Spanish delegation led by its Minister of Foreign Affairs and Cooperation Shri Jose Garcia – Margallo y Marfil with the Minister of Urban Development Shri M.Venkaiah Naidu in Parliament House. Spain has proposed to assist in developing Delhi as the first global and smart city in India under the framework of this Draft MoU. Spain has come up with the Draft MoU further to the visit of Shri Venkaiah Naidu to Barcelona to attend the Smart City Expo World Congress in November last year and the meeting of Spain’s Secretary of State for Trade Jamie Garcia Legaz in February this year with Shri Naidu. Welcoming Spain’s interest in the Indian Government’s initiative of building smart cities, Shri Naidu told the delegation that the Draft MoU would be examined by the Government for further action in consultation with all concerned agencies. The Spanish Minister said that his country is among the world leaders in building Railway and Metro networks, Roads and Ports besides in Shipping, Recycling of Waste, Water Management and promoting Renewable Energy Sources and was keen to associate with India in its efforts for infrastructure promotion. The visiting Minister referred to the extensive work done by Spanish companies in Latin American countries in this regard. Shri Venkaiah Naidu gave a detailed account of the measures being taken by the central government to promote investments into the country by enhancing the ease of doing business, developing infrastructure, liberalizing FDI norms etc. During the discussions it transpired that Spanish Foreign Minister is visiting India after 42 years on a substantial visit and five high level visits of Spanish leaders to India have taken place during 2015 so far including those of Ministers of Defence, Trade and Prime Minister’s Special Envoy highlighting Spain’s interest in the development initiatives of the Indian Government. The Central Government has been supplementing the efforts of the State Governments through Ministry of Water Resources, RD &GR in abatement of pollution in Ganga River and its tributaries under NGRBA (National Ganga River Basin Authority) and Ministry of Environment, Forest & Climate Change (MoEF&CC) in identified stretches of various rivers excluding Ganga under the National River Conservation Plan (NRCP) programmes. Various pollution abatement schemes taken-up under the programmes, inter-alia, include interception & diversion of raw sewage, construction of sewerage systems, setting up of sewage treatment plants, low cost sanitation facilities, electric/improved wood crematoria and river front development. NRCP has covered polluted stretches of 40 rivers in 121 towns spread over 19 States at a sanctioned cost of Rs.5779.41 crore. Till end of December, 2014, an expenditure of Rs 4876.40 crores has been incurred on pollution abatement works. Sewage treatment capacity of 3833.49 million litres per day (mld) has been created so far under National River Conservation Plan (NRCP). Sri Rama Sagar Stage-II Major Irrigation Project, which benefits Warangal, Khammam and Nalgonda districts in Telangana, was started in 1995 but has not yet been completed. The Project was originally scheduled to be completed by March, 2009. Now the project is targeted for completion in March, 2016. As reported by the State Government, the delay is largely due to land acquisition problems and court cases. The investment clearance was accorded to this project by Planning Commission for Rs. 1043.14 crore during March, 2006. The State has not sent any revised estimate/proposal for this project. Ministry of Water Resources, River Development and Ganga Rejuvenation has constituted a “Task Force for Interlinking of Rivers” vide Office Memorandum dated 13.04.2015, to look into issues relating to Inter linking of Rivers (ILR). Earlier also, a Task Force on Interlinking of Rivers under the Chairmanship of Shri Suresh P. Prabhu, the then Member of Parliament, Lok Sabha was constituted by the Ministry of Water Resources on December 13, 2002. The Task Force submitted its report in April 2004, and was wound up with effect from 31.12.2004. Based on the recommendations of the Task Force, appropriate follow up action have been taken in respect of guidance on norms of appraisal, bringing about speedy consensus amongst the States and prioritization of links. Accordingly, the Memorandum of Understanding (MoU) between the party States were signed for preparation of Detailed Project Report (DPR) of Ken-Betwa link, Damanganga - Pinjal link and Par-Tapi-Narmada link. The DPR for Ken-Betwa Link and Damanganga - Pinjal links have been completed by National Water Development Agency (NWDA) and submitted to the party States. In order to arrive at a consensus on various river-links for sharing of the surplus water and preparation of DPR by NWDA, the Government has constituted a Consensus Group headed by the Chairman, Central Water Commission and Secretaries of Irrigation/Water Resource Departments of the concerned States. In addition, the issues on the inter-State links are also regularly discussed during the meeting of Governing Body and Society of the NWDA. The Special Committee for Interlinking of Rivers (ILR), chaired by Union Minister of Water Resources, River Development & Ganga Rejuvenation frequently reviews the progress of these river link proposals in consultation with the stakeholders to expedite these projects. In order to address various issues concerning the Inter-Linking of River Programme and to arrive at consensus on the link proposals between the States, various Sub-Committees have also been constituted. Based on the concurrence of the concerned States of Gujarat and Maharashtra, a tripartite Memorandum of Understanding (MoU) for preparation of Detailed Project Reports (DPRs) of Par-Tapi-Narmada & Daman ganga-Pinjal links was signed among the Chief Minister of Gujarat, Chief Minister of Maharashtra and the Union Minister for Water Resources on 03.05.2010 in the presence of Prime Minster of India. Accordingly, DPR of Daman ganga - Pinjal link has been completed in March 2014 and submitted to party States of Gujarat and Maharashtra. The DPR of Par-Tapi-Narmada link is under various stages of completion. The implementation of these projects is dependent upon the consensus and co-operation of the concerned States and upon obtaining various mandatory clearances from Ministry/ Departments of Central and State Governments including statutory clearances. The time limit for the completion of individual link project can be identified only after Detailed Project Reports are techno- economically approved. The per capita water availability in the country as a whole is reducing progressively due to increase in population. The average annual per capita availability of water in the country, taking into consideration the population of the country as per the 2001 census, was 1816 cubic meters which decreased to1545 cubic meters as per the 2011 census. Several steps for augmentation, conservation and efficient management to ensure sustainability of water resources are undertaken by the respective State Governments. Central Government supplements the efforts of the State Governments, by providing technical and financial assistance to State Governments through various schemes and programmes such as Accelerated Irrigation Benefits Programme (AIBP); Repair Renovation and Restoration of Water Bodies. The Government of India has also launched National Water Mission with the main objective as “conservation of water, minimizing wastage and ensuring its more equitable distribution both across and within States through integrated water resources development and management”. This Ministry has formulated a National Perspective Plan (NPP) for Water Resources Development envisaging inter-basin transfer of water from surplus basins to deficit basins/ areas. Based on surveys, investigations and detailed studies, National Water Development Agency (NWDA) has prepared pre-feasibility reports which facilitated identification of 30 links under the NPP. Based on the concurrence of the concerned States, Detailed Project Reports (DPR) for Ken-Betwa Link, Damanganga - Pinjal links have been completed by NWDA. In addition, out of 46 proposals of intra-state links received by NWDA from 9 States, the DPRs of two intra- state links i.e. Burhi Gandak- Noon-Baya-Ganga Link Project and Kosi-Mechi Link Project have been completed and sent to Government of Bihar in December, 2013 and March, 2014 respectively. The DPRs for Ponnair-Palar Link of Tamil Nadu, Wainganga-Nalganga Link of Maharashtra and Barakar-Damodar-Subernarekha Link of Jharkhand have also been taken up for preparation. Ministry of Water Resources, River Development & Ganga Rejuvenation has kept an amount of Rs.280 cr. for preparation of Pre-feasibility Report (PFR), Feasibility Report (FR) and Detailed Project Report (DPR) for the river-link projects, out of which, an expenditure of 136.7 cr. has been incurred till December, 2014. The request to declare Pranahita Chevella as a National Project has been received from the State Government of Telangana along with its Detailed Project Report (DPR). The observations of CWC on different aspects such as hydrology, irrigation planning, design, electro mechanical and integrated storage planning aspects have been communicated to the Project Authorities. The same need to be clarified. The statutory clearances from Ministries of Environment, Forests & Climate Change and Tribal Affairs are also to be submitted by the Project Authorities, for facilitating the consideration of the proposal. The Water Storage available in 91 important reservoirs of the country as on April 23, 2015 was 49.247 BCM which is 31% of total storage capacity of these reservoirs. This storage is 89% of the storage of corresponding period of last year and 116%of storage of average of last ten years. The present storage position during current year is less than the storage position of last year but is better than the storage of average of last ten years. The northern region includes States of Himachal Pradesh, Punjab and Rajasthan. There are 6 reservoirs in this region having total storage capacity of 18.01 BCM. The total storage available in these reservoirs is 6.78 BCM which is 38% of total storage capacity of these reservoirs. The storage during corresponding period of last year was 38% and average storage of last ten years during corresponding period was 30% of storage capacity of these reservoirs. Thus, storage during current year is equal to the corresponding period of last year but is better than the average storage of last ten years during the corresponding period. The Eastern region includes States of Jharkhand, Odisha, West Bengal and Tripura. There are 15 reservoirs in this region having total storage capacity of 18.83 BCM. The total storage available in these reservoirs is 8.10 BCM which is 43% of total storage capacity of these reservoirs. The storage during corresponding period of last year was 48% and average storage of last ten years during corresponding period was 30% of storage capacity of these reservoirs. Thus, storage during current year is less than the corresponding period of last year but is better than the average storage of last ten years during the corresponding period. The Western region includes States of Gujarat and Maharashtra. There are 27 reservoirs in this region having total storage capacity of 27.07 BCM. The total storage available in these reservoirs is 9.21 BCM which is 34% of total storage capacity of these reservoirs. The storage during corresponding period of last year was 43% and average storage of last ten years during corresponding period was 37% of storage capacity of these reservoirs. Thus, storage during current year is less than the storage of last year and also less than the average storage of last ten years. The Central region includes States of Uttar Pradesh, Uttarakhand, Madhya Pradesh and Chhattisgarh. There are 12 reservoirs in this region having total storage capacity of 42.30BCM. The total storage available in these reservoirs is 16.24 BCM which is 38% of total storage capacity of these reservoirs. The storage during corresponding period of last year was 44% and average storage of last ten years during corresponding period was 23% of storage capacity of these reservoirs. Thus, storage during current year is less than the storage of last year but better than the average storage of last ten years. The Southern region includes States of Andhra Pradesh, Telangana, AP&TG(2combined project in both states) Karnataka, Kerala and Tamil Nadu. There are 31 reservoirs in this region having total storage capacity of 51.59 BCM. The total storage available in these reservoirs is 8.92 BCM which is 17% of total storage capacity of these reservoirs. The storage during corresponding period of last year was 18% and average storage of last ten years during corresponding period was 23% of storage capacity of these reservoirs. Thus, storage during current year is less than the corresponding period of last year and also less than the average storage of last ten years during the corresponding period. States having better storage than last year for corresponding period are Himachal Pradesh, Punjab, Tripura, Karnataka, Kerala and Tamil Nadu. States having lesser storage than last year for corresponding period are Rajasthan, Jharkhand, Odisha, West Bengal, Gujarat, Maharashtra, Uttar Pradesh, Uttarakhand, Madhya Pradesh, Chattisgarh, Andhra Pradesh, Telangana, AP&TG(2combined project in both states).